I hope everyone had a wonderful weekend and Happy Halloween! Our first Halloween with Baby Girl was super laid back, but still a success with our little lamb. Earlier in the day we went over and met some new friends, watched the Clemson (and UVA) game, grilled burgers, and hung out with their sweet little ones. It was so cute to watch Sully so enthralled with the two little boys who were older than her. This Loaded Mashed Potato Casserole was delicious, super easy, and in the spirit with the sour cream/ranch spider web! Find the recipe by clicking here. During the day Sully was comfy cute in her skeleton outfit from Old Navy. When dusk rolled around, we headed home to put Sully in her costume (found here on Amazon) and pass out candy. Ryan wanted to be the “cool house” in the neighborhood for our first year and bought the big sized candy bars. They were definitely a hit and we actually ran out pretty fast. Welcome to real life in the Phillips household. Cotton got in on the costume fun after Sully had had enough of her lamb hat. After passing out candy and Sully photo shoots, we hunkered down to drink pumpkin beer (Shipyard Pumpkinhead is my favorite) and watch Scream. Which, oddly enough, was the first time Ryan and I have ever watched a scary movie together. Full transparency, we both fell asleep about half way through, ha! We skipped the trick-or-treating this year and were greatly missing our cousins back in SC while they all went around my parent’s neighborhood together. Still think it might be a little early for all of that. What age did you start taking your little ones trick-or-treating? 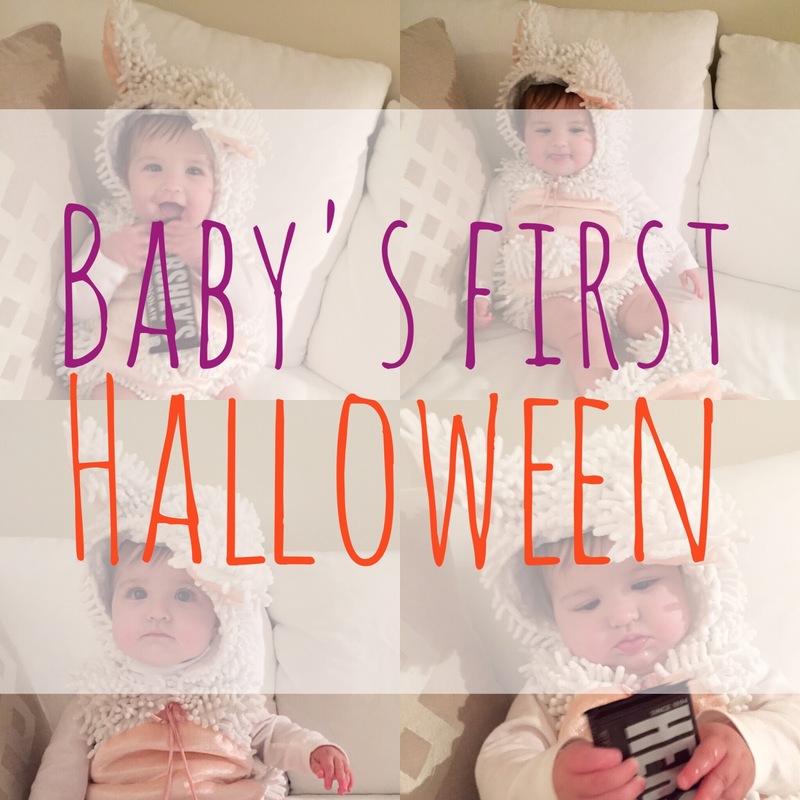 Let me know what you or your babies (this includes fur babies, duh) were for Halloween! Clemson Game Day Outfits for the Family!